This is what 14,000 calories looks like. Roughly 15% protein, 70% carbs, 15% fat. 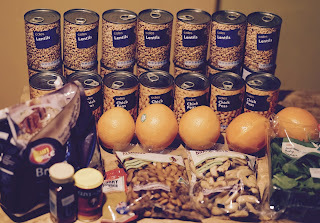 Healthy vegan food for a week, for AUD$35. $1.66 per meal. Covers 100% vitamin and mineral intake (not counting B12 (0%), D (0%) and calcium (56%)).